Size: 18.4 x 7.9 cm. 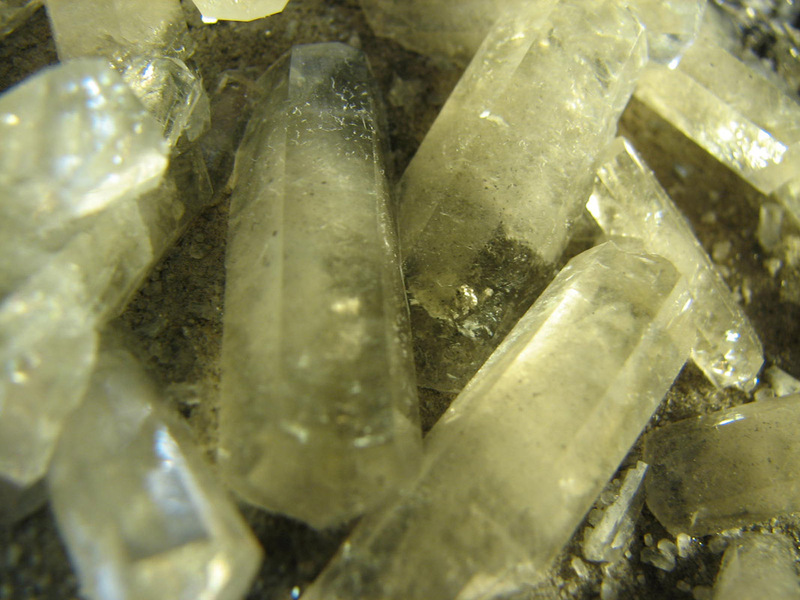 Comment: Numerous terminated crystals of light golden calcite. 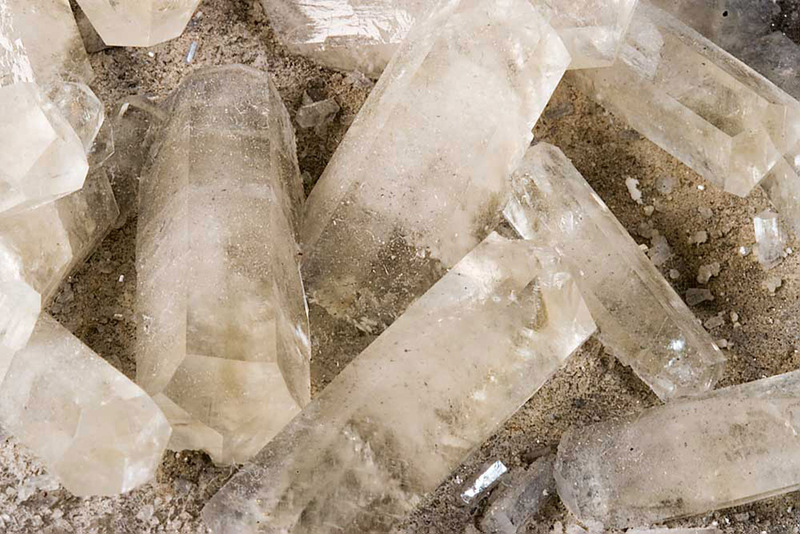 We counted over 40 completely terminated crystals. 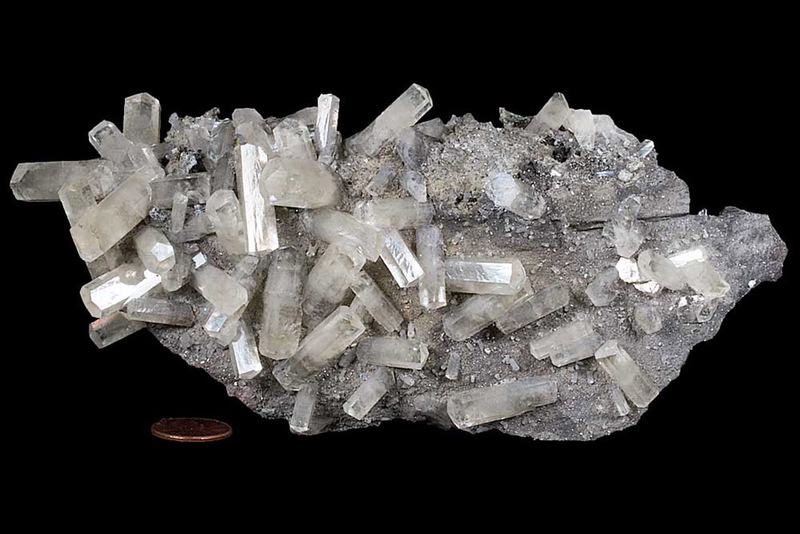 Many of the calcite crystals are double terminated. 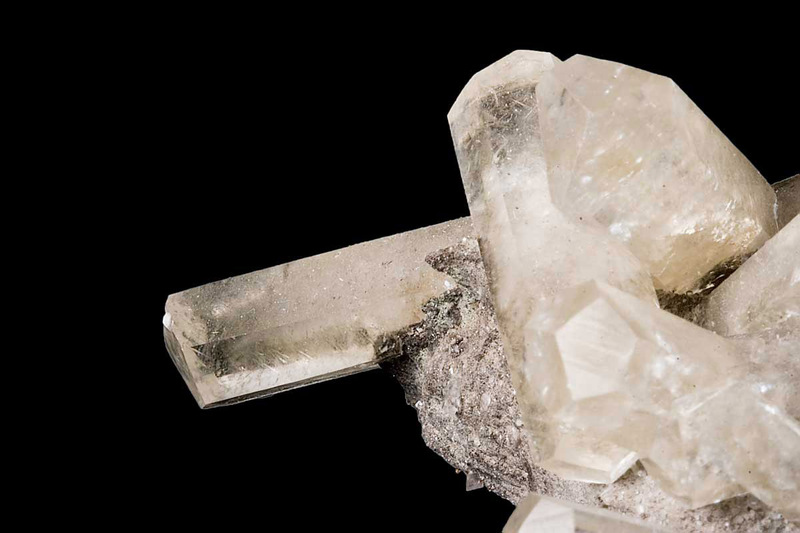 The calcite crystals are quite gemmy with outstanding clarity.